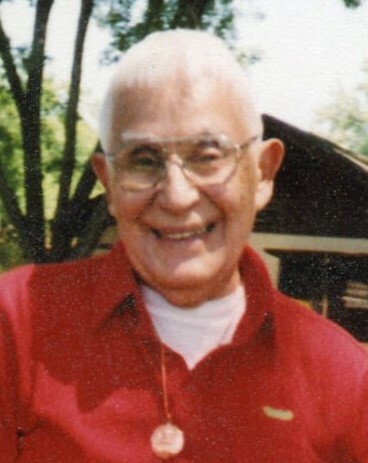 John M. Medina, passed away peacefully on January 17, 2019 at the age of 100. Born on February 1, 1918 to Vicente and Concepcion Medina in Durango, Mexico, the youngest of 4 children. John worked as a Surgical Nurse at Merced County Hospital for 30 years after serving in the US Army as a medic during WW2. He was preceded in death by his parents, a Brother Joe, Sisters, Mary and Elvida, Nephew, Tony Jr., Great Nephews, Leonard, Richard & Ruben Jr. Survived by his Nephew, Gene Martinez of Merced, Nieces; Julia Conteras and Josie Mejia of Merced, Nickie (Ernie) Bagwell of Fresno, Elena (Ruben) Lovato of Petaluma, 16 Great Nephews, 38 Great Nieces and 13 Great – Great Nieces & Nephews. Visitation will be held on Wednesday, January 30, 2019 from 4:00 p.m. - 8:00 p.m. with a Rosary starting at 7:00 p.m. at Ivers & Alcorn Funeral Home in Merced. A Mass of Christian burial will be at 10:00 a.m. on Thursday, January 31, 2019 at Sacred Heart Church in Merced with burial to follow at Calvary Cemetery in Merced. “Uncle” You have left a hole in our hearts that will never be filled.